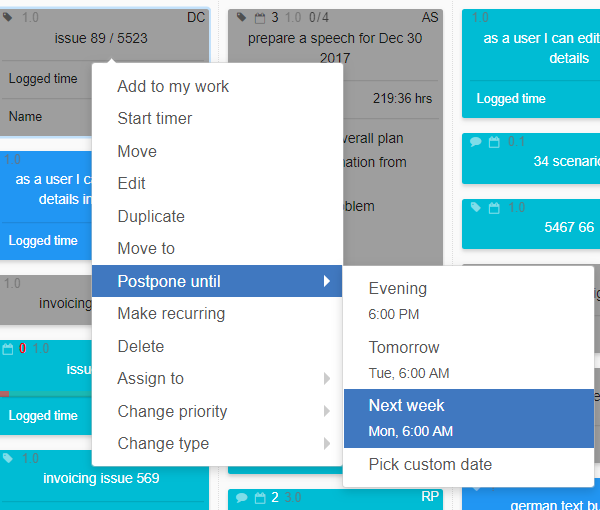 Aside from being accessible from any place and at any time, one of the best things about using an online Kanban board is the benefit of it being able to do things FOR you, remember for you and to automate actions on your behalf. Without this, it's only an online place where you're keeping your to-do list, isn't it? So, what are the best ways in which using a Kanban board keeps your head clear and allows focus on the task at hand? 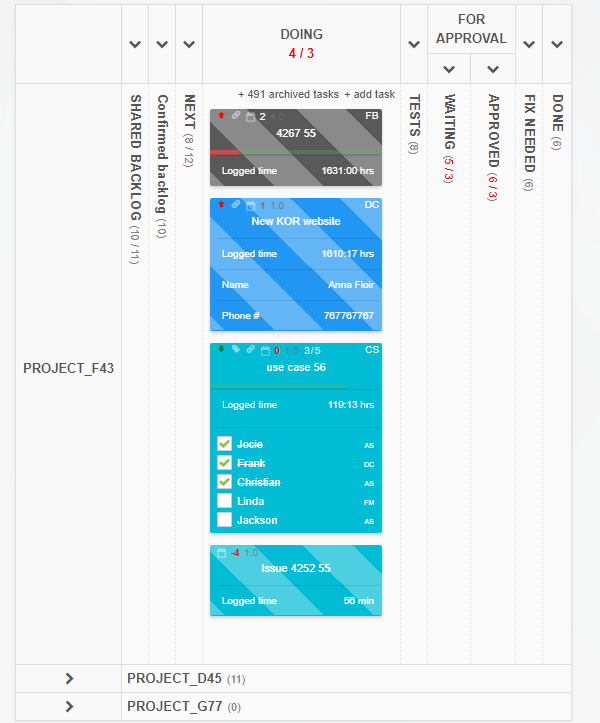 Naturally, you need these in order to know when each task needs to be done by. It's best if the number of items on your board is as low as possible. So, for things that you don't yet need to work on, it's better to set a postpone date - make it clear off the board, and come back on a date or time set by you. In the spirit of keeping a clear view of what you need to do now - and only now - make sure you're only looking at what's important in this moment. Collapse the columns and swimlanes that aren't relevant for the time being, and simply focus on what needs doing right now. 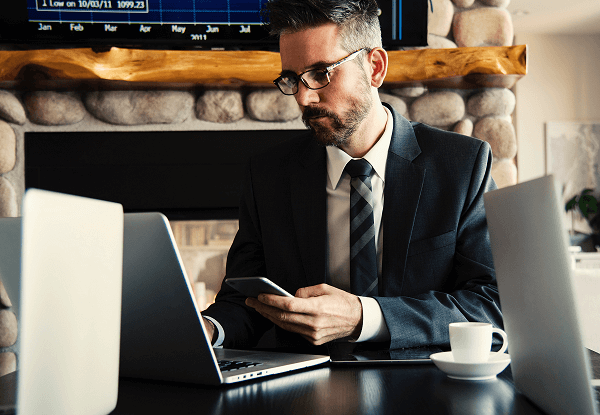 Instead of having to note down or remember specific relations between tasks, why not simply apply board rules that state what action should cause which reaction - in this way, you can significantly speed up your process and get rid of a bunch of things that otherwise would need to have been – again – remembered. 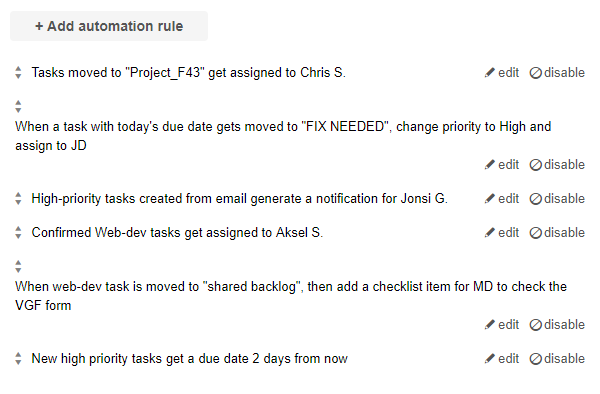 Tasks should be able to be moved, updated, reassigned etc. 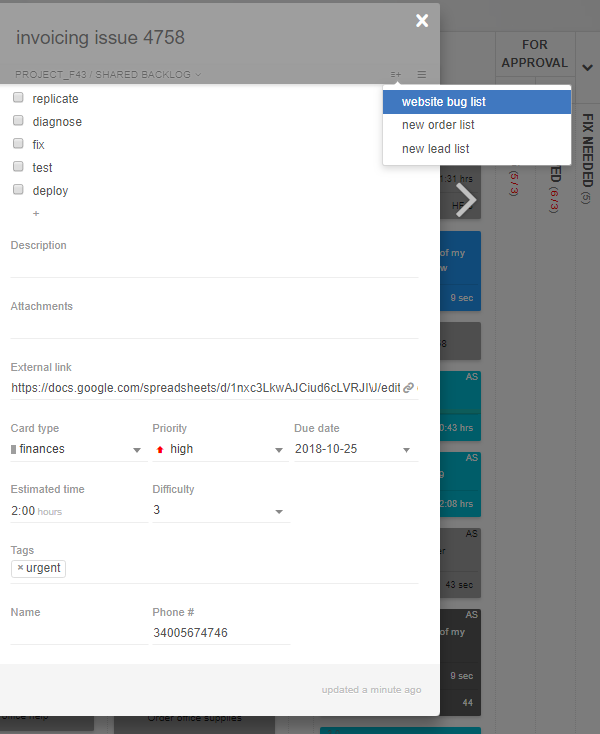 on the basis of another tasks moves or updates, for instance, when a red task is placed in Today column, it will be auto-assigned to Jack, or when a task in Waiting column gets changed to urgent type, a notification will be sent to the team leader. a schedule of your choosing. Why not save a particular, filtered view of your board and always view it as such, saving you loads of time. 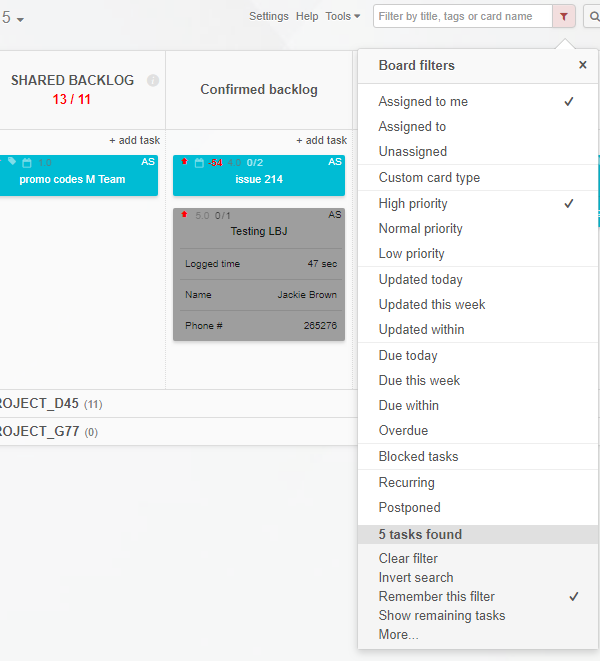 On top of that, your Kanban should be able to search through all of your boards, using virtually any search criteria. Doing multi-step tasks is easier with a checklist. Easier still, when a few of your most often used checklists are accessible to you at a click of one button. No need to type it in, no need to recall it - just add with one click and get to work! 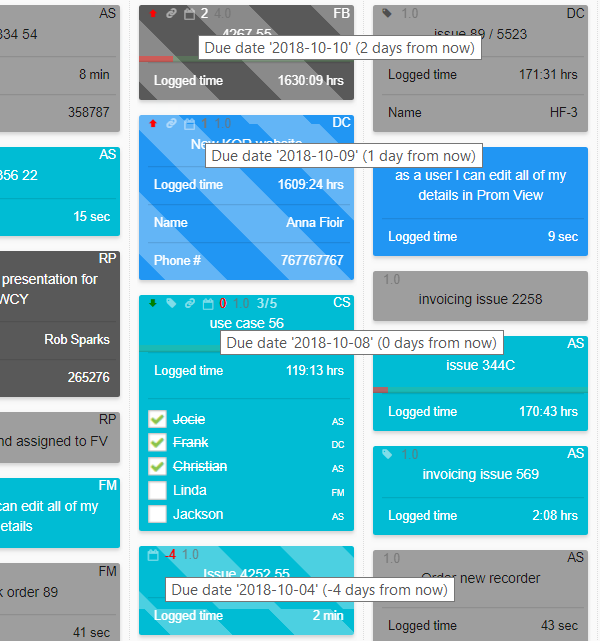 Are you using this great functionality to aid your daily work, save time and gain the fantastic feeling that everything is under control every single day? If not, feel free to start to do so at any moment with Kanban Tool!